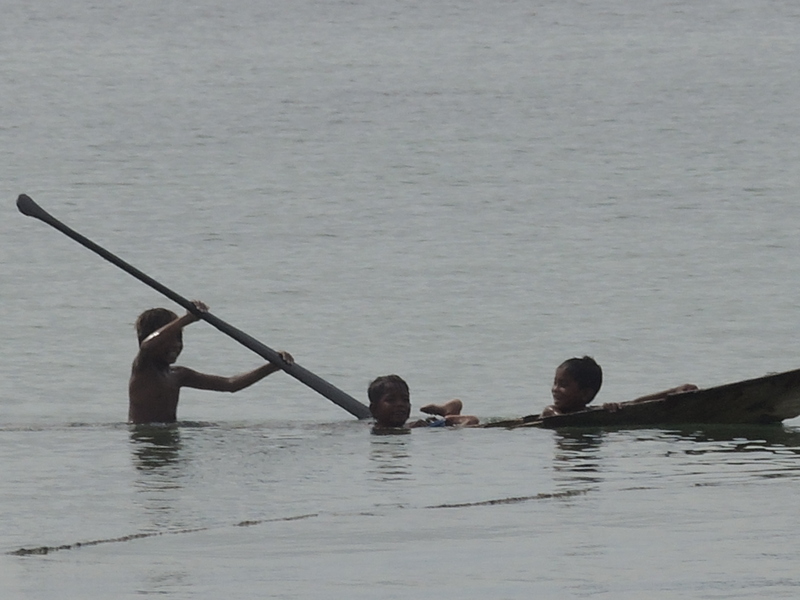 Even though their boat was sinking, they were still having a grand time. Photo taken on Mabul Island, Malaysia. This entry was posted in Travel Photos and tagged 50 Year Project, Asia, Children, Life, Mabul Island, Malaysia, Nature, Photography, South East Asia, Travel, Travel Blog, Travel Journal, Travel Photo. Bookmark the permalink. It’s hard not to smile when you see them. The caption sounds like one of those comedy postcards. I had a laugh when I saw them. Surprisingly the boat went quite a distance, but never far from the shore. That’s the joy of being a kid! They don’t worry like adults. Great photo! I do wish I still felt that way–no worries. Kids are resilient and go with the flow. Yes, and they weren’t far from the shore which made me feel better. I would hate to see them taking this craft out into the sea, though. I agree. It’s times like these that I remember fondly as an adult. Oh no. I hope all turned out well. Oh dear! Hope everything was okay. They look like they’re still trying to row, steer, whatever!! they made it back safe and sound.